Bishops, The Game, was invented during the winter of 1991 by myself, Edwin John Wilhelm. (email me at bishops@chess4321.com)At the time I lived in Shelburne, Ontario, Canada. While playing a game of Chess with my first wife I noticed our son Matthew age 6 was feeling left out and was unable to play. I felt there could be a way for him to play if the game had more chess pieces. Over the next few weeks I developed the basic board design using ideas I believed were compatible with Chess rules and could be enjoyed by four people to start. Within a month or two the rules were in writing and the board design and game was copyrighted in Ottawa, Canada. 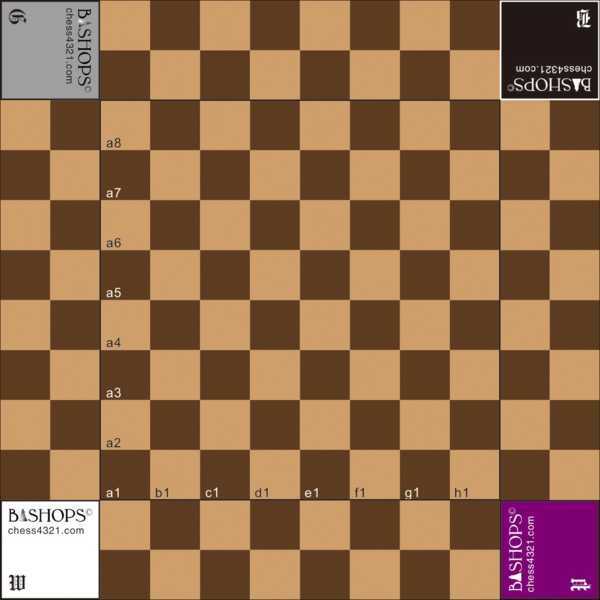 At the time I was unaware of other Chess Variants but soon came to learn of past inventions and variations, but none to match the uniqueness and play of Bishops. Over the years a limited edition was constructed and sold. More may be manufactured in the future.